When you notice gum disease in your pet, you want to work with a veterinary professional to treat the problem. Our Durham veterinarian offers treatments to help reduce the risk of gum disease to your pets. In our clinic, we provide dental treatments for both dogs and cats. 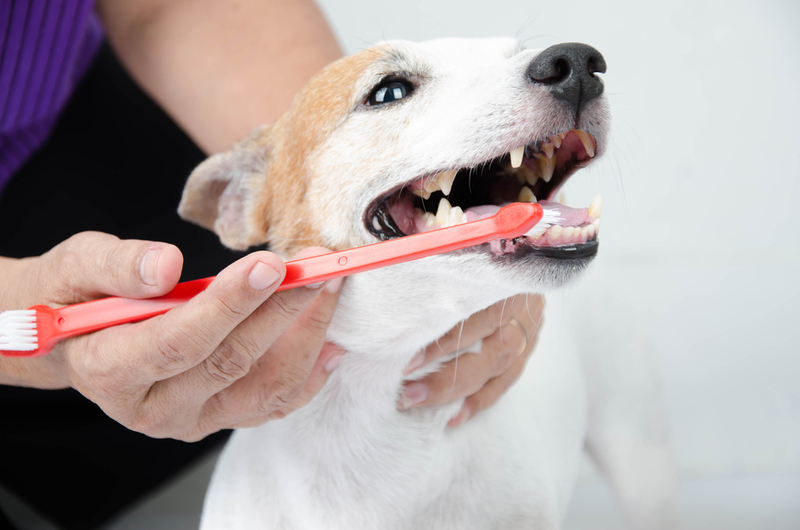 A routine pet dental exam and appropriate cleaning services help prevent the risk of gum disease in pets. We also help pet owners by teaching you how to properly brush your pet's teeth. Periodontal disease, or gum disease, is a problem that occurs over time. It builds up due to poor oral hygiene in your pet and causes damage to the teeth and gums. When the condition is not treated, it may result in severe pain, lost teeth and bone loss in your pet's mouth. The condition is treatable and even preventable with early detection and care. The common causes of gum disease in pets are similar to the causes of the condition in humans. It relates to oral hygiene and bacteria in the mouth. When the bacteria grows, it forms plaque on the teeth. Over time, the plaque causes damages through cavities on the teeth. Early detection is difficult because gum disease does not cause obvious early symptoms. In many cases, a pet owner can overlook the problem until it causes a pet pain or results in bleeding gums. We encourage pet owners to schedule regular pet dental exams to maintain the overall health of their pets. The signs of dog gum disease or cat gum disease depend on the severity of the symptoms. Since a pet may avoid showing pain, you will want to look for other symptoms to seek treatment for your pet. If you notice blood, then you want to seek treatment for your pet. You may also notice discoloration on your pet's teeth, which indicates plaque. While you may not notice bleeding gums, plaque is a sign that a pet may be at risk for the condition. Keeping your pet's teeth and gums healthy plays an essential role in their long-term well-being. When you suspect gum disease or have concerns about a pet's behavior, our trusted Durham veterinarian at New Hope Animal Hospital can help. To set up an appointment, call 919-490-2000 today. Our team of veterinarians is proud to provide quality care for your pet. Learn more about us! Visit our online pharmacy to order your pet's medication when you need it!